We caught up with the UK half of international gourmet yoghurt team, The Collective Dairy, to discuss cocktails, great flavour and entrepreneurship. 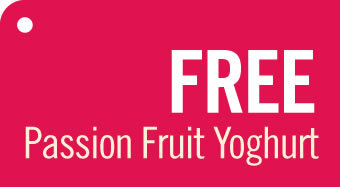 There’s also a free yoghurt voucher below for your next shop – first 900 customers only. Dig in. Ocado: First things first: if you could only eat one yoghurt from the range for the rest of your life, which would it be? Amelia: That’s like saying ‘which is your favourite child?’; I could never answer! Without sounding too cheesy, I love them all equally, although right this second I’m addicted to our new Raspberry + Amaretto Limited Edition. Mike: Got to be Passion Fruit: love the tang, love the aromas, love the seeds. It’s great on muesli for brekkie. O: You were founded by a team in New Zealand and you guys in the UK. How did the two teams meet? A: Sometimes these things are all about lucky timing. Ofer and Angus had just launched in New Zealand, got a great reaction, and thought us Brits would love it too. At the same time, Mike and I were looking to start our own business. A friend introduced us, we tried the yogurt, fell in love with it, and six months later it was on Ocado! O: How do you make things run smoothly with partners either side of the planet? M: …and even better, our designer is in New Zealand, so we ask for work by close-of-play UK time and it’s done when we wake up for breakfast. O: So, no pressure guys, but why choose Ocado to launch your yoghurts? A: I’ve been an Ocado customer since you launched; you’re well known for launching exciting new brands. We’ve had an amazing response from Ocado customers, many of whom leave us lovely comments in the Ratings and Reviews section. M: Ocado customers just seem to care more about quality and new products and ideas. O: We love the Amaretto flavour in your latest limited edition. We’re curious; have you ever tried to use one of your yoghurts in a cocktail? A: Funnily enough we’re just making up some cocktails at the moment. We’re creating a much stronger version of our Raspberry + Amaretto with a lot more booze in! Once we crack it we’ll post the recipe in the Recipe section of the website. M: I think we may end up with more cocktails in our yoghurt, but the yoghurt will always come first. O: OK, we’ll finish on what’s clearly the most important question… If you were invisible for a day, what would you do? A: I’m absolutely addicted to Homeland, so it would have to be to sit in on a real life CIA meeting. UPDATE! All 900 yoghurts have now been redeemed. Sorry folks. Book a delivery slot and start shopping. 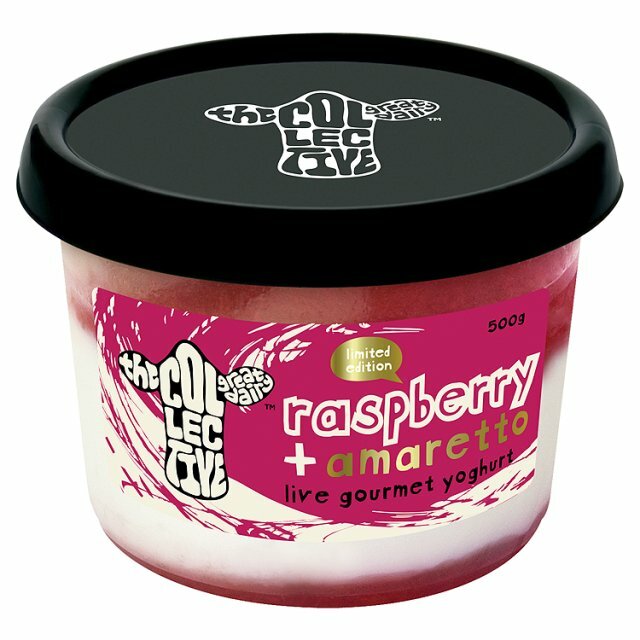 Add The Collective Dairy Passion Fruit Yoghurt 160g to your order. Add the voucher code COU6540026 as you check out and we’ll deduct £1 from the total for the first 900 customers. Voucher expires 06/11/2013 for the first 900 customers. Please note that the voucher can only be redeemed once, on a single unit of The Collective Dairy Passion Fruit Yoghurt 160g at ocado.com. Additional units will be charged at the usual price. This voucher cannot be used in conjunction with any other offer or promotion. This offer is subject to availability. Usual Ocado purchase terms apply. This entry was posted in Talking Ocado and tagged Amaretto, cocktails, entrepreneur, Gourmet, live yoghurt, New Zealand, Ocado, The Collective Dairy, Yogurt by sophieatocado. Bookmark the permalink. Tried to use this, but got a reply saying I’d already used the voucher – which I haven’t! Another Ocado offer that’s not worth anything? (Personalised Diet Coke debacle was the last one). Hi Jane, sorry about that! We’ve fixed the code now so it should be working OK. Let us know if you have any more issues. Only got the email with code last night from Ocado. Hi Ralph, we’re really sorry you’re disappointed. The voucher was incredibly popular, but keep an eye on our newsletter and Facebook page for more great offers. Sorry again. Shame, as I was the person who pointed out Ocado’s code not working, and I miss out because I have to work and can’t sit in front of my computer all day to snap up the offer. Got the code today and told sorry all gone! not really a free yogurt, its £1 off £2.39, bit misleading!